First off, I’d like to apologize for the lack of posts over the past few days. As it turns out, there aren’t many merits to procrastination for a freshman in college. Now, let’s get to the point of this post. Through the first couple weeks of the 2012 regular season, the Milwaukee Brewers — as well as the rest of the National League Central division — are already looking up at defending World Series champions St. Louis Cardinals, who hold a healthy two-game lead over the rest of the division. While a lot of baseball has yet to be played this season, there have been more than enough reasons for concern for the Prince Fielder-less Brewers. Hitting has been scarce much more than usual, defense has looked abysmal and the starting pitching hasn’t been up-to-par from where it was last season. As the season persists and games continue to become more important, how do the Brewers intend on catching the Cardinals for the division title? Here are 10 keys. Aramis Ramirez’s brief 2012 stint with the Brewers has been a nightmare situation for both sides. After signing a lucrative four-year contract last December, the tried veteran has struggled mightily through the first three weeks of the season. In 61 plate appearances, Ramirez has just 10 his to go along with an unsightly .164/.224/.295 line. His plate discipline has been in question early in the season, amassing a walk rate of just 7.5 percent with a strikeout rate just south of 20 percent. However, those are the least of his worries at this juncture. Ramirez has yet to truly find his power-stroke this season, holding true to an unpleasant .131 ISO. For a guy well-known for his capacity to hit the long-ball — he has a career .215 ISO — those numbers are more than concerning. If the Brewers expect to catch up with the Cardinals at any point this season, they’ll need Ramirez to get his power-swing back out of the cleanup spot in Ron Roenicke’s lineup. Expectations were high for Rickie Weeks coming off yet another injury-plagued campaign, particularly with respect to his offensive productivity. Milwaukee’s second-baseman made his first All-Star appearance for the National League last summer in large part due to his offensive yield. Through the first three weeks of 2012, however, Milwaukee’s 29-year-old has regressed at the plate tremendously. In 76 plate appearances, Weeks has managed a .182/.289/.364 line with a team-worst strikeout rate of 27.6 percent. His morbid strikeout rate has in large part stemmed from his inability to hit the curveball, putting just 8.8 percent of all curveballs in play this season. Weeks’ struggles at the plate haven’t been enough for Ron Roenicke to move him out of the leadoff spot in the lineup. But if his plate discipline doesn’t improve in a timely fashion, it will be near impossible for the Brewers to gain any ground on the Cardinals as the season persists. The Brewers have been a collective mess at the plate this season, but the one bright spot has surprisingly come from catchers Jonathan Lucroy and backup George Kottaras. Despite batting primarily out of the No. 8 hole in Milwaukee’s lineup, the two have combined for a scintillating .314/.429/.608 line with three home runs, nine runs batted in and eight runs scored. There tremendous productivity at the dish has been enough for a MLB-best 1.3 WAR rating among all team catching units. Never have the Brewers been able to get so much offensive production from the catching position to start a season. Milwaukee will need a high output from Lucroy and Kottaras all season long if they’re to catch the Redbirds for the division lead. 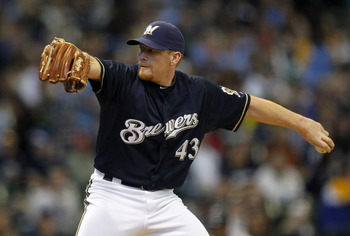 Randy Wolf was an unmitigated workhorse for the Brewers last season, leading the staff with 212.1 innings pitched and finishing second with 21 quality starts. Entering what could potentially be a contract year for the 35-year-old southpaw, many surmised he’d pick up right where he left off. Unfortunatly, that hasn’t been the case through the first three weeks of the season. 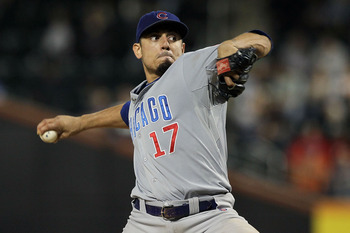 In his first three starts of 2012, Wolf finds himself 0-2 with a gaudy 8.80 ERA. Even more alarming, opponents are hitting .325 with a .373 BABIP, which isn’t all that surprising given the fact he’s struggled to command his changeup. Wolf turned in a solid outing against the Astros Tuesday night, but in the largely scope of things, there is much improvement to be had from Milwaukee’s No. 3 starter. Needless to say, those improvements will need to come quickly if the Brewers intend on catching the Cardinals. Brewers right fielder Corey Hart has always been known for this power potential, and through the first few weeks of this 2012 season, it’s been on full display. Milwaukee’s 29-year-old outfielder has carried Ron Roenicke’s lineup to the tune of a .286/.388/.679 line with a team-high five home runs. His power stroke has given him a by far and away team-best .393 ISO over the likes of Ryan Braun, Aramis Ramirez and Rickie Weeks. In a Brewers lineup in desperate need for production without Prince Fielder, Hart has quickly become Roenicke’s most reliable hitter for power who can drive the ball to any corner of the field. The graph below illustrates exactly what I’m talking about. If Hart’s ability to drive the ball to the opposite field persists, it will be awfully difficult for pitchers to try and pitch around him. Needless to say, the Brewers will need his dynamic bat in the middle of their order if they have any shot of catching St. Louis. One of the biggest question marks facing the Brewers coming into spring training was whether or not their bullpen would be able to effectively bridge the gap from the starters to setup man Francisco Rodriguez and closer John Axford, particularly in the seventh innings. So far, things have looked rather shaky. Jose Veras, Kameron Loe, Manny Parra, Marco Estrada and Tim Dillard have held down the fort adequately so far, but they will have their work cut out for them as the season progresses. As a unit, they’ve managed a 3.50 ERA, 1.67 WHIP, .286 BAA and .375 OBP in the seventh inning. If the Brewers have any plans to catch up with the Cardinals, who’s staff has been nothing short of outstanding so far this season, they’ll need to show signs of progress in bridging the gap from their starters to their late-inning relievers. 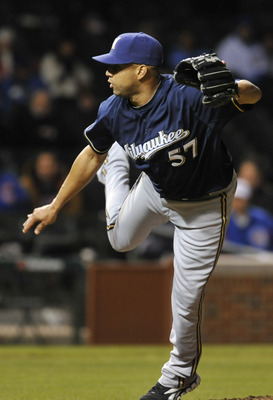 Francisco Rodriguez was once upon a time the best closer in baseball, thanks in large part to a devastating upper-90 MPH fastball and low 80 MPH changeup combo. However, age has taken a palpable toll on the former all-world closer. Now in his first full season with Milwaukee, Rodriguez’s fastball has worked effectively, however, his changeup has been noticeably lacking. Last season, K-Rod aggregated a strike percentage of 68.6 with his changeup but has garnered just a 39.5 strike percentage with the pitch in 11 appearances this season. The chart below depicts Rodriguez’s changeup location plot so far this season. Reigning National League MVP Ryan Braun took a whole lot of flack from baseball fans this past offseason for his connectivity to performance-enhancing drugs, despite the fact he was vindicated of the charges against him through an appeal from the league office. But while Braun remains legally exonerated, his obvious struggles this season have only given his doubters more reason to question his innocence. 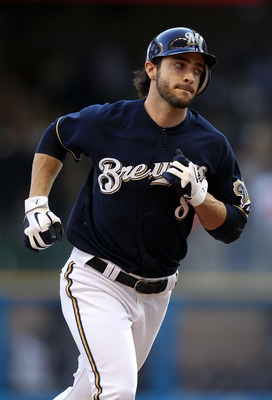 In 74 plate appearances, Braun boasts a .266/.338/.516 line with just three home runs and nine runs batted in. He’s aggregated a strikeout rate of 23 percent and a walk rate of 8.1 percent, as well, and his tendency to swing at pitches has moreover magnified without the protection of Prince Fielder. All things considered, though, Braun simply cannot try to do it all by himself. The pressure to produce on-par with his 2011 yield will only continue to mount, and if he caves in to that pressure, the Brewers will have no shot at catching the Cardinals for the division lead. Brewers head-skipper Ron Roenicke has been a longtime advocate of aggressiveness on the bases since his days as a understudy to Mike Scioscia in Los Angeles. Since being hired to run the show in Milwaukee at the beginning of last season, his mentality hasn’t changed — and the results are finally beginning to show. This season, the Brewers have become one of the best base-stealing clubs in baseball. As a unit, they’ve hoarded 15 stolen bases while only being caught five times, which has in turn led to an MLB-best 6.5 SPD rating according to Fan Graphs. The Cardinals aren’t heavily dependent on their base-stealing capabilities, however, the Brewers are. If Roenicke continues to push the envelope on the bases this season, that will give them a whole new weapon to produce runs with against the competition. 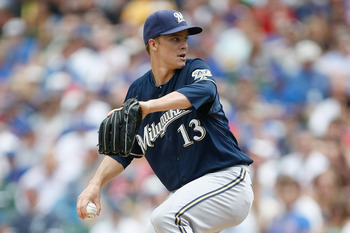 While Narveson’s injury is an unfavorable one for the Brewers, it may prove to be a blessing in disguise. Estrada has a considerable amount of experience as a starter and from the way he pitched against the Rockies, he could bring a whole new dynamic to the back-end of Ron Roenicke’s rotation: velocity. Both pitchers are effective in their own right, however, Estrada has the ability to run his four-seam fastball up into the 93-94 MPH range, while Narveson typically tops out at roughly 86-87 MPH. This distinction in velocity could prove to be exactly what the Brewers will need in order to catch the Cardinals in the coming months. 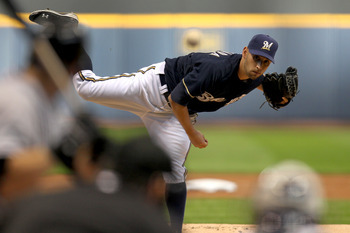 For that reason, Estrada must remain Milwaukee’s No. 5 starter through the rest of the season. With only 42 years of existence, the Milwaukee Brewers are still very much one of the younger franchises in Major League Baseball. However, by no means has that limited the amount of success that many of it’s most elite players have obtained. From a statistical standpoint, the Brewers have had many exceptionally successful individual seasons from a bevy of likely — and unlikely — players. These are the guys that performed at an elite level for an entire season’s worth of baseball. Who are these elite players and in what year were they able to so thoroughly dominate the competition? Let’s find out. Milwaukee’s offensive catalyst during the inaugural season of Miller Park, Sexson was one of the NL’s most impressive sluggers all season long. Was dominant all season long; finished in the top 10 of all MLB closers in saves on a team that concluded it’s season under the .500 mark. Impressive stuff from the surefire Hall-of-Famer. The backbone of Harvey Kuenn’s lineup, Thomas led the American League in home runs and ranked fifth in RBI. He also notably struck out a team-high 143 times, conversely. “Strikeout machine” would be a bit of an understatement. Set the franchise record for saves in a regular season and garnered a 12.2 K/9 ratio along the way. Unfortunate that he couldn’t strut his stuff on the postseason stage. Carried Milwaukee’s offense throughout the 2003 regular season and earned MVP consideration at the end of it all. 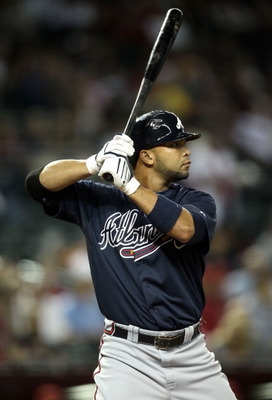 His 45 home runs finished second in the National League and his 124 RBI ranked fourth. 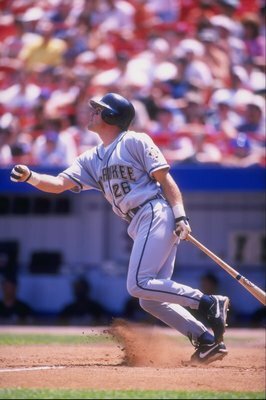 Easily the best player on some of the most abominable teams in franchise history, Jeromy Burnitz receives little recognition for what he accomplished during his 1998 season with the Brewers. From an offensive standpoint, Burnitz was magnificent. His 38 home runs ranked as the sixth-most in the National League and his 125 RBI ranked fifth-most. How he wasn’t elected to the All-Star game based on his batting alone is stunning. Of course, his productivity wouldn’t end there. 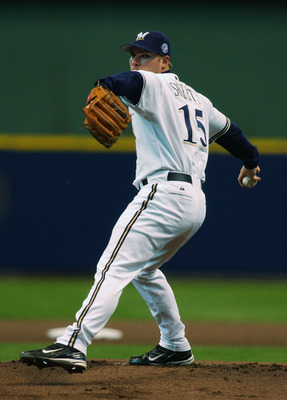 Burnitz played sound defense in the outfield throughout the 1998 season and consequently garnered a career-best 1.0 dWAR (defensive wins above replacement) rating. John Axford came into last season with hardly any big-league experience under his belt, but from the way he performed, you probably wouldn’t have realized it. Last season, Milwaukee’s Canadian-born fire-baller tied for the National League lead with 46 saves (a new franchise record) and garnered the league’s best ERA among closers. His upper-90 MPH fastball guided him to an impressive 10.51 K/9 and his exceptional command led to a feeble walk ratio of 8.2 percent. Axford was outstanding all season long and consequently gathered much Cy Young-praise. Granted, he ended up with just two percent of the vote, but he still finished ahead of fellow closer Craig Kimbrel and slightly behind Matt Cain. Technically, this shouldn’t even count. But I think we can all make an exception just this once, right? Traded from the Cleveland Indians to the Brewers on July 8, 2008, CC Sabathia played just over a half of a season with Milwaukee, but was absolutely and unequivocally dominant throughout. In his 17 starts with the club, Sabathia posted a feeble 1.65 ERA and garnered a K/BB ratio of 5.12, often times on just three days of rest. Sabathia was without question Milwaukee’s most valuable player down the stretch and it’s fairly easy to assume that without his services, the Brewers don’t make the postseason. Consequently, Sabathia nearly vaulted his way to the top of NL Cy Young and MVP voting, which is by and large unheard of from only a half-season’s worth of production. They don’t call him “Stormin’ Gorman” for nothing. Perhaps the most recognizable player on many Brewers’ clubs from the late 1970s to 1980s, Gorman Thomas knew how to do one thing exceptionally well: hit the long ball. During what will go down as one of the greatest individual offensive seasons in franchise history, the scrappy power-hitter with mediocre batting prowess led the American League with 45 home runs and finished with the league’s third-most RBI. His .539 slugging percentage ranked seventh-best among all hitters, additionally. Teddy Higuera was downright dominant during the 1988 regular season. As the undisputed No. 1 starter of a below-average starting rotation, the 30-year-old Mexico native posted some truly impressive numbers. His 0.99 WHIP was tops among all American League starters and he finished in the top-10 of all AL starters in wins, strikeouts, ERA and BAA (.207). He rarely gave up the long ball, garnering a 0.59 HR/9 ratio over 31 starts, additionally. Unfortunately, though, Milwaukee failed to reach the postseason in a power-packed AL East division that season. Fans can only imagine what Higuera would have been able to do if given the chance to pitch on the postseason stage. After two scintillating seasons with the Brewers, Ryan Braun came into his 2009 season facing exceedingly high expectations with respect to his offensive production. Needless to say, he lived up to those expectations. Robin Yount was one of baseball’s most productive hitters throughout the 1980s and was seemingly in the hunt to take home MVP honors every year from 1980-1989. So, naturally, it should come as no surprise that Yount won the prestigious award twice during that time-span. 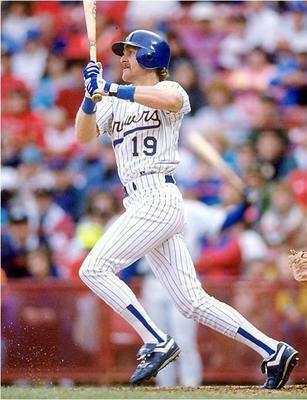 His second installment came in 1989, where Yount was nothing short of sensational at the plate. Ranking in the top-10 of all American League hitters in runs scored, hits, batting average, RBI, on-base percentage, slugging percentage, OPS, doubles, and triples, Yount’s efforts were rewarded with a Silver Slugger award and a 65 percent share of the AL MVP vote, staving off Ruben Sierra and Cal Ripken, Jr. by the slimmest of margins. 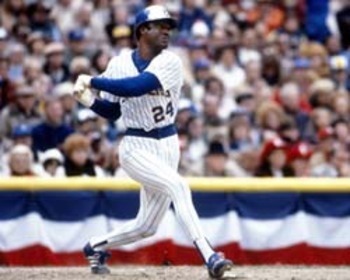 If Robin Yount and Paul Molitor were the heart and soul of the Brewers’ 1980 lineup, then Ben Oglivie was the bicep. During what I consider to be one of the most neglected offensive seasons in franchise history, Oglivie did a good portion of the heavy-lifting for Milwaukee’s offense, blasting an American League-high 41 home runs while finishing with the league’s second-most RBI (118). Ogilvie took home a Silver Slugger-award honors for his efforts — the only time he was able to accomplish such a feat during his journeyman career — and ended up sharing seven percent of the American League MVP vote behind fellow teammate Cecil Cooper. Paul “The Ignitor” Molitor was arguably the best pure-hitter in all of baseball throughout the 1980s, and his hitting prowess was on full display during the 1987 regular season. That year, Milwaukee’s lead-off man and starting third-baseman batted .353, which was enough to rank second-best among all American League hitters along with his .438 on-base percentage and his 1.003 OPS. He led the league with 41 doubles, additionally. However, his production would reach far beyond just the batter’s box. He nabbed a franchise-record 45 stolen bases and scored a league-high 114 runs, which was a testament to his base-running dexterity and ability to wreak havoc on the diamond. Prince Fielder was without a shred of doubt one of the most successful big-league sluggers in all of baseball during his seven seasons in a Brewer uniform, and his 2009 regular season certified exactly why. In a year where Milwaukee finished two games under .500 (80-82), Fielder led the National League in RBI, and finished second overall in home runs, slugging percentage, and OPS. He also ended with the league’s fourth-best on-base percentage and fourth-most walks (110). Unfortunately, Fielder’s efforts would be all for naught from a historical context, as he would take fourth-place in National League MVP voting behind the likes of Albert Pujols, Ryan Howard and Hanley Ramirez. In all honesty, Pete Vuckovich didn’t do anything exceptionally well. He knew how to eat innings and get batters out, however, he struggled with walks and was hardly known for his strikeout abilities. Still, there’s no denying what Milwaukee’s favorite starting pitcher accomplished during a historic 1982 season. That year, manager Harvey Kuenn’s No. 2 starter took home American League Cy Young honors with relative ease. He led the league in win-loss percentage (.750), his 3.34 ERA ranked sixth-best and he rarely gave up the long-ball, garnering the league’s seventh-best HR/9 ratio (0.563). 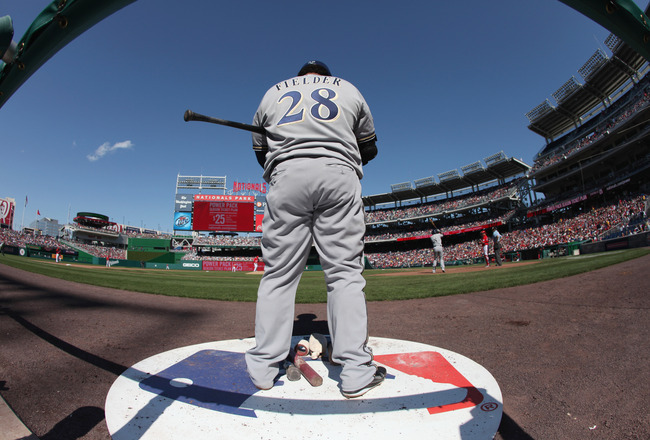 Prince Fielder became synonymous with “home run” during his unprecedented seven-year run with the Milwaukee Brewers and he certainly lived up to that distinction during the 2007 regular season. As a beefy 23-year-old on a base-salary of $415,000, Fielder blasted 50 home runs in 681 plate appearances and became the youngest player in MLB history to reach the 50-home run plateau, comfortably beating the previous record set by Willie Mays in 1955. His successes wouldn’t end there, as he led the National League in slugging percentage and he also finished with the league’s third-most RBI and second-best OPS. And, not surprisingly, Fielder hoarded 90 walks which was enough to rank ninth overall. 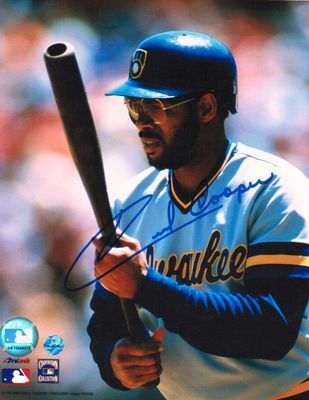 Cecil Cooper was one of the driving offensive forces behind a slew of successful 1980s Brewers ballclubs, but his greatest single season without question came in 1980. That season, Milwaukee’s beloved first-baseman won Silver Slugger honors for the first time in leading the American League in RBI, finishing second in hits (219) and batting average, while ending with the league’s fourth-best slugging percentage. He also nabbed 17 stolen bases and posted the league’s third-best OPS. But as impressive as his offensive yield was, his defensive prowess was as equally as evident. He committed just five errors over 142 games on his way to a .997 fielding percentage and 0.8 dWAR rating. Teddy Higuera had an undeniably sporadic and unconventional major-league career, however, that didn’t stop him from having one of the most successful single-season pitching performances in franchise history back in 1986. In a season where Milwaukee finished well under the .500 mark at 77-84, Higuera staked his claim as one of MLB’s brightest young arms. 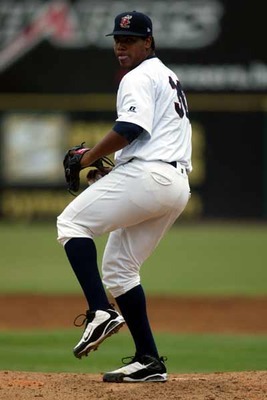 Higuera’s 2.79 ERA finished second among AL pitchers and his 20 wins also ranked second overall. He also amassed 15 complete games and compiled four shutouts on his way to finishing second behind Roger Clemens in AL Cy Young Award voting. Mike Caldwell was never known for his strikeout abilities or for having above-average command, but he knew the importance of eating innings and finishing what he started—literally. 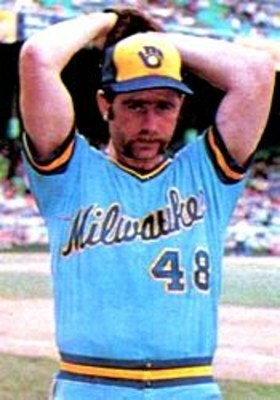 Headlining Milwaukee’s sumptuous 1978 starting rotation, the seasoned 29-year-old veteran finished third in innings pitched among all American League starters and notched an absurd 23 complete games. His 22 wins ranked second, additionally, and his six shutouts also finished second. If not for Ron Guidry’s impeccable season with the New York Yankees, Caldwell would have almost certainly taken home Cy Young honors in the American League. Paul Molitor was the quintessential “five-tool” player during what would become a historic 15-year career with the Brewers. He posted scintillating numbers across the board year in and year out and that was never more evident than in the club’s distinguished 1982 American League championship season. As Milwaukee’s primary third-baseman and lead-off man offensively, Molitor led the American League in runs scored. His 201 hits finished third, his 41 stolen bases ranked fourth overall, additionally. All things considered, Molitor was an absolute gamer in every sense of the word. He was a once-in-a-lifetime talent out of the batters-box and on the bases and his efforts during the 1982 season will never be forgotten. 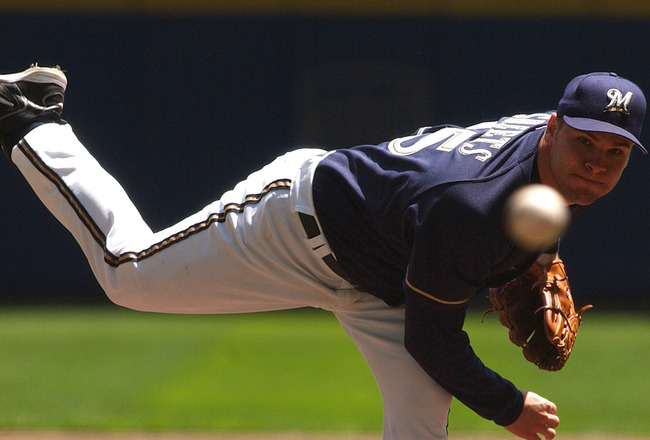 Ben Sheets was a source of many memorable individual performances throughout his career with the Brewers, but it wasn’t until 2004 that he managed to put it all together for one extraordinary season. That year, Milwaukee’s often inconsistent right-hander was nothing short of spectacular. He finished second in the National League in strikeouts, WHIP and complete games (5), and ranked third in ERA. He also notably finished fourth in K/9 (10.03) thanks to an unfathomable strikeout rate of 28.2 percent. Unfortunately for Sheets, though, he would only finish eighth in Cy Young Award voting behind the likes of Roger Clemens, Randy Johnson and Roy Oswalt. Nevertheless, his indelible 2004 campaign will go down as the greatest season for a starting pitcher in franchise history. Rollie Fingers was a man of many talents, but it was his pitching prowess late in crucial games that was on full display throughout an unprecedented 1981 campaign. As a 34-year-old seasoned veteran in his first season as Milwaukee’s closer, Fingers led the American League with 28 saves and posted a miniscule 1.04 ERA. He also notably held the opposition to a career-best .194 BA (.237 BABIP) and maintained a walk rate of just 4.4 percent. Amazingly enough, this was all made possible despite an aging arm that, unlike many of today’s closers, didn’t live and die off his strikeout abilities. Fingers’ exceptional command and ability to work around batters made his 1981 season even more impressive than previously thought. Oh, and did I forget to mention he took home MVP and Cy Young award honors? Each of Ryan Braun’s first five big-league seasons have been outstanding, but none of them have been as successful from a historical standpoint than his most recent campaign. Taking home the club’s first MVP award since Robin Yount did it back in 1989, Milwaukee’s exonerated hero produced unprecedented numbers during the 2011 regular season. He led the National League in slugging percentage and OPS, while his 187 hits ranked fifth and 111 RBI finished fourth overall. Braun also nabbed 33 stolen bases and logged a career-best 0.6 dWAR rating (defensive wins above replacement), which is fairly impressive when you consider the fact he’s still relatively new to playing the outfield. Robin Yount had many historical seasons in his heyday with the Milwaukee Brewers, but none came close to matching what he accomplished during the 1982 regular season. 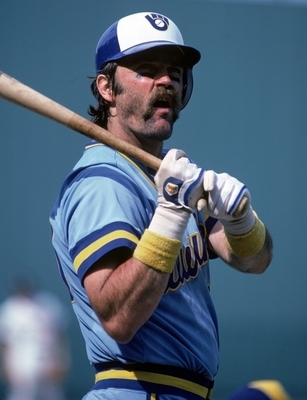 During what can only be described as the single greatest statistical season in franchise history, Yount’s bat produced at a near fictitious clip. He led the American League in hits (210), doubles (46), triples (10) slugging percentage and OPS, and his .311 BA finished second. Yount also logged 14 stolen bases and held his own in the field in posting an impressive 1.9 defensive WAR rating. It’s only fitting that the greatest individual season in franchise history came in the club’s lone trip to the World Series. Long live the ‘stache. 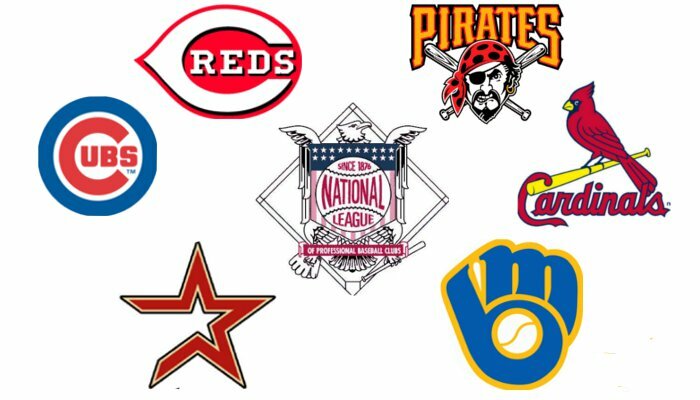 Fully realizing America’s attention is fixated on the Super Bowl (I like the Patriots over the Giants in a close shootout, 27-24), I figured now would be the perfect time to get some thoughts down on how the NL Central will shake out this season. We’re just days away until pitchers and catcher report to spring training and opening day is just around the corner, believe it or not. Let’s go ahead and break-down each team’s offseason transactions as well as how I think the division will shake out before preseason action gets under way. 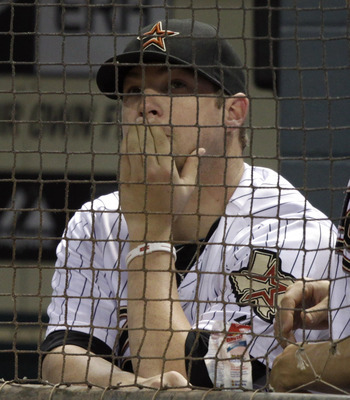 Breakdown: No matter how you slice it, the Houston Astros were simply awful last season. They finished with MLB’s worst regular-season mark at 56-106 and were statistically atrocious in nearly every facet imaginable. Trading Hunter Pence and Michael Bourn at the deadline for young talent may be one positive for the Astros moving forward, however, there’s no denying that manager Brad Mills won’t have much offensive firepower to work with to start next season. It should be interesting to see how his opening-day lineup looks. Houston ranked 28th in team ERA (4.51) and 26th in BAA (.266) last season, and failed to bring in any noticeable pitching to help bolster their dismal staff. Still, Wandy Rodriguez, Bud Norris, Brett Myers and J.A. Happ are three respectable arms that make up Houston’s rotation. Why they’ll finish here: Every team in the division managed to improve in one way or another this winter with exception to Houston. The fact is, they’re just not ready to compete. Look for 2012 to be another rebuilding year for the Astros as they try and work in their bevy of acquired prospects. Breakdown: The Pirates showed massive signs of improvement early on last season, particularly on the mound. Prior to the All-Star break, they ranked eight in team ERA (3.44), sixth in saves (27) and 18th in BAA (.256). Their stellar pitching carried them to a 47-43 overall mark at the All-Star break, however, things would only go south from there. Post All-Star break, their staff posted a 4.78 ERA and allowed a opponents to bat .288. Needless to say, their offensive offered little to no support, ranking 28th in runs (256), BA (.241) and OBP (.301). Losing Ryan Ludwick will have an obvious impact to their offensive production. However, they were able to make up for it by adding Clint Barmes, Casey McGehee as well as bringing back Nate McLouth. 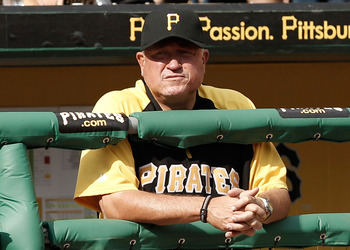 Why they’ll finish here: While there’s no doubting the Pirates are a young team on the rise with a ton of potential, the stiff competition in the NL Central will limit their success in 2012. They were able to add some pieces this offseason, but they’re talent just isn’t ready to go toe-to-toe with the rest of the division. Breakdown: The Cubs have clearly elected to go young with Theo Epstein and Jed Hoyer running the show. And while that may not equate to immediate success, it will prove to be the more sensible move for the organization moving forward. Last season, Chicago finished second to last in the division at a 71-91 mark, mainly due to the fact that their rotation failed to produce even after acquiring Matt Garza. Collectively, they finished with MLB’s sixth-worst team ERA (4.33) and hoarded just 76 quality starts. Rumor had it that they were shopping Garza this winter, but nothing came to fruition. With Aramis Ramirez and Carlos Pena now gone, the Cubs will be desperate for power while 22-year-old first baseman Anthony Rizzo gets his feet wet. Alfonso Soriano and Starlin Castro will remain the only true power threats to start 2012. Why they’ll finish here: Long-term, the Cubs have as bright a future as any team in the division. Right now, though, there’s simply too much ground to make up for he pieces that were lost this winter. Breakdown: Albert Pujols’ absence will hurt St. Louis’ chance at the division crown, without question. His importance to the Cardinals’ lineup over the past few seasons has been immeasurable. However, these Cardinals are still a very potent bunch. Matt Holliday, Lance Berkman, David Freese all return and with the addition of Carlos Beltran, it’s only inevitable they’ll rank at or near the top of all offensive categories in 2012. 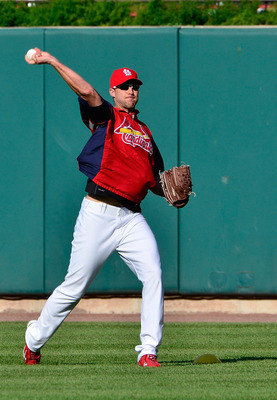 Adam Wainwright, who missed all of last season with a right elbow injury that required Tommy John surgery, be a refreshing addition to St. Louis’ rotation that will return Chris Carpenter, Jaime Garcia, Kyle Lohse and possibly prospect Shelby Miller. While they’ll finish here: Without Pujols, the Cardinals figure to be a team predicated off their strong rotation and bullpen. Beltran will prove to be a sumptuous addition but, in reality, does this team have the offensive firepower necessary to take the division? I’ll have to see it before I believe it. Breakdown: The Brewers cruised to their first division title in franchise history last season thanks to NL MVP Ryan Braun, Prince Fielder and their refurbished rotation. This year, they look to do the same. The only difference is they’ll have to do it entirely without Fielder and partially without Braun. Last season, Milwaukee led the National League in slugging percentage (.425) and second in OPS (.750). Without Fielder, those figures are certain to drop, though they managed to go out and get Aramis Ramirez to help shore things up. Yovani Gallardo, Zack Greinke, Shaun Marcum and Randy Wolf make up one of baseball’s best front-four starting rotation. Greinke’s 3.83 ERA was the highest among the four and if not for his rib injury to start last season, each would have eclipsed the 200 inning mark. Why they’ll finish here: A team typically known for their slugging ways, the Brewers must figure out how to play small ball in start 2012. Without Ryan Braun for the first third of the season, it will be difficult for Milwaukee to keep pace with the upper-echelon teams in the division. Breakdown: When healthy, the Reds have proven to be a near unstoppable force in the batter’s box. 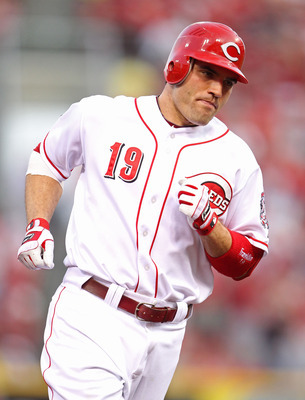 Between perennial MVP-candidate Joey Votto, Jay Bruce, Brandon Phillips and Drew Stubbs, they’re easily the most well-balanced lineup in the division right now. But if there’s one clear things that’s limited their success, it’s their pitching. The Reds finished fifth-worst in team ERA (4.16) and tied for last in shutouts last season. The addition of Mat Latos will give Dusty Baker’s rotation some much-needed talent to complement Mike Leake, Bronson Arroyo and Johnny Cueto. Why they’ll finish here: After capturing the division crown in 2010, the Reds’ 2011 campaign was certainly nothing to write home about. Yes, they’ve been relatively quiet this winter and haven’t added much new talent, but that shouldn’t take away from the talent that’s already in place. Their offensive firepower will simply be too much for the rest of the division to handle. You’d be beating an already lifeless horse if you said that the Milwaukee Brewers have one of the most inept farm systems in all of Major League Baseball. Everyone knows it, and there’s really no other way of putting it. However, a successful 2011 first-year player draft has officially put the Brewers back on the map in terms of markedly young talent in the minors. 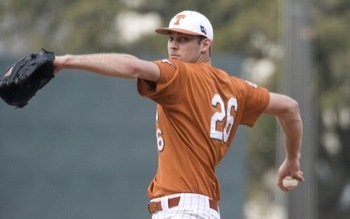 The club notched Texas RHP Taylor Jungmann and Georgia Tech LHP Jed Bradley in the first round last June, and both are expected to make leaps and bounds in their first year in the organization. Outside of Jungmann and Bradley, though, things aren’t particularly saturated in talent. However, there are a number of prospects who may have their sights set on the majors. Let’s rank 10 prospects with the highest MLB ceilings down on the farm. There aren’t many true power hitters within the Brewers’ organization, and none of them look to have a very high ceiling at that. Gindl, though, might be an exception to that fact. At 23 years old and four solid professional seasons under his belt, Gindl is as prepared as he’ll ever be to break through to the majors in 2012, even if it means simply being an off-the-bench type player. He’s amassed at least 13 home runs and 60 RBI in three seasons down in the minors. Not terribly impressive, but it was enough for Milwaukee to add him to their 40-man roster. Last season in triple-A, he maintained a .307/.390/.472 line with 15 home runs and 60 RBI. Couple his slightly above-average power with a competent glove, and he could get a chance to platoon with a number of other players in Ryan Braun’s spot in left field. Schafer, 25, was at one point a very promising young star but a heated battle with injuries has derailed his development. Last year between high-A, double-A and triple-A ball, Schafer batted .315 with five home runs and 43 RBI. He also notched 16 stolen bases and scored 66 runs. 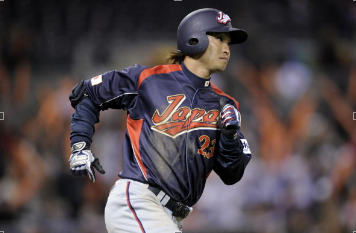 He was promoted to the big leagues as a September call-up last season but only amassed three plate appearances. At this point, it’s hard to distinguish what Schafer’s future holds in store. If I had to give it my best guess, I’d say he’s bound to be a utility, off-the-bench type player who probably won’t ever get a legitimate shot at a full-time starting role. Rivera is one prospect that I would advise even the casual fan to keep up on. He’s a very young talent at just 19 years old and has the potential to be a defensive superstar at the major league level. He has extremely quick feet and has great range in the field. That said, there are some concerns moving forward. In rookie ball in 2010, Rivera batted .209 with no home runs, 23 RBI and just a .257 slugging percentage. Last year between rookie and low-A ball, he batted .236 with nine home runs and 43 RBI, though he did manage to eclipse the 100-hit plateau. He does struggle with strikeouts, and that will be a stressing point moving forward in his development. Tom Haudricourt projected on Baseball America last November that he expects Rivera to be Milwaukee’s starting shortstop at the beginning of the 2015 season. If that’s the case, who knows how high his ceiling might be. Seldom do the Brewers take chances on unproven players coming out of high school through the draft, but Lopez was one omission to that tendency. A third-round draft pick in last June’s draft, Lopez posted a 2.25 ERA in four starts in rookie ball last year. And while he only pitched 12.0 innings, there’s a growing sentiment around the organization that, with at least four years in the minors, he could be a back-end of the rotation type pitcher for Milwaukee. There’s still a lot left to be proved on Lopez’s end as his consistency is still in question, but his plus-average curveball is definitely something worth building off of. Truth be told, Nelson hasn’t yet put up the overwhelming statistics that come with being a “top prospect”. In 2010, Nelson went 2-0 with a 3.71 ERA and struck out 33 in 26.2 innings in rookie ball. He also garnered a 11.1 K/9 IP and a less-than-impressive 1.61 WHIP. Last year, he went 8-9 with a 4.38 ERA in 25 starts in low-A ball. One thing that scouts take notice to is his big frame, which looks to translate well at the major league level. He’s able to go deep into games thanks to a average-power arm with a fastball topping out in the mid-90s. What separates him from the pack, though, is his plus-slider and improving changeup. Nelson has a ton of potential and at 22 years old, he’s already a seasoned pitcher down on the farm who will challenge to break through to the bullpen by late 2013. He projects to end up as a middle of the rotation starter. 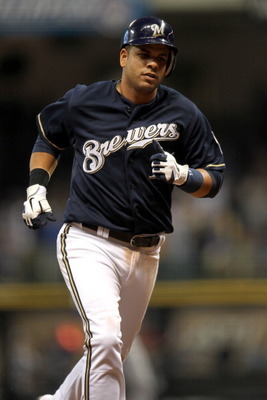 Fans have anxiously awaited the day that Peralta, 22, makes the jump to the big leagues for quite some time now. The Brewers signed him to a minor league contract at the ripe age of 17, and, needless to say, he’s as ready as he’ll ever be. Last year, the 6’2″, 240-pound right-hander went for 150.2 innings between double-A and triple-A, posting a 3.17 ERA and 9.4 K/9. He’s become notorious for his strikeout abilities but also for his lack of consistency, which will be a stressing point at spring training in February. 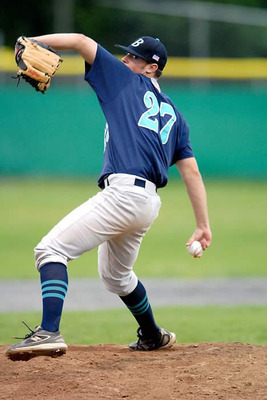 His fastball tops out in the low to mid 90s and has a plus slider that has serious potential. He’ll likely start 2012 in the bullpen and will eventually end up as an end-of-the rotation type pitcher in the coming years. In a farm system largely dominated by pitching talent, Gennett has staked his claim as Milwaukee’s top infielding prospect. At just 21 years old, Gennett already has two professional seasons to his credit. He skipped rookie ball and went straight to low-A ball where he batted .309 with nine home runs, 55 RBI and 87 runs scored. He also notched 14 stolen bases. Last year at Brevard County, he batted an even .300 with nine home runs, 51 RBI and 74 runs scored. He’s slightly undersized which will clearly limit his power potential at the major league level, but his great work ethic and likability all work in his favor moving forward. 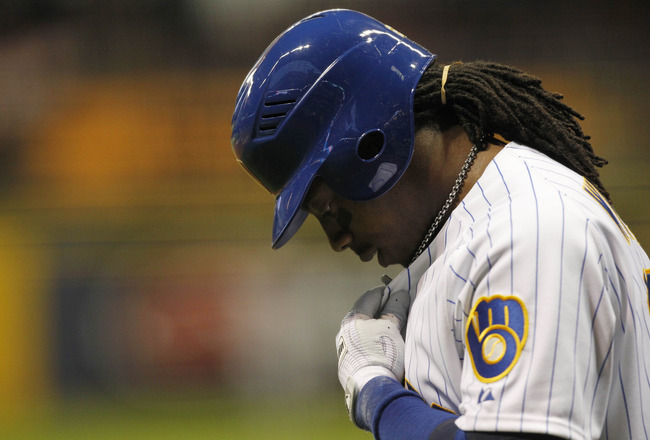 His ceiling is limited, though, with Rickie Weeks holding down the fort at second-base. I do expect him to push for a starting role by 2014, nevertheless. There are many differing opinions about what the future holds in store for Thornburg. Some say he has the stuff to be a No. 2-3 starter in the big leagues, others say his stature (5’11”, 185 pounds) could keep him from being a starter altogether. The one thing I think we can all agree on, though, is that he’s been impressive thus far. After posting a 1.93 ERA with 38 strikeouts in 23.1 innings in rookie ball, Thornburg made his way through low-A and high-A ball in 2010. He went 10-6 with a 2.57 ERA and struck out a remarkable 160 batters in just 136.2 innings of work in that time-frame. Some have made comparisons of his unorthodox windup to that of Tim Lincecum’s in that it generates a considerable amount of torque on his arm. Whether or not that effects his development moving forward remains to be seen, but Thornburg has clearly made himself known throughout the minors. His ceiling is definitely high. Bradley may play second-fiddle to Taylor Jungmann once next season gets under way, but you’d be kidding yourself if you think there’s any substantial disparity in how successful their futures might be. In his senior season at Georgia Tech, Bradley went 7-3 with a 3.49 ERA, struck out 106 in 98.0 innings (9.73 K/9 IP) and allowed just one home run. He held batters to a .239 BA and maintained a 1.22 WHIP. His left-handed arm was a splendid addition in last June’s draft, and will be a key asset for the organization moving forward. He made his professional debut last fall in the Arizona Fall League, be struggled. Bradley is likely to start his 2012 campaign at the low-A level. The overwhelming sentiment shared by scouts is that Taylor Jungmann has the potential to be a future star at the major league level for years to come. Please keep in mind he has yet to throw a professional pitch. 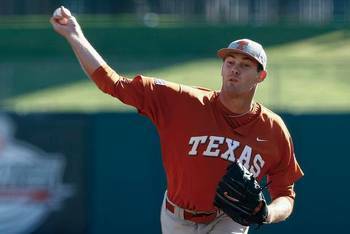 Last year at Texas, the tall, lanky right-hander went 13-3 with a remarkable 1.60 ERA. He also struck out 126 in 146.0 innings (8.04 K/9 IP), held opponents to a .165 BA and allowed just four home runs in 18 starts. Most of his success at the collegiate level can be accredited to his power fastball that tops out at in the mid-90s. Scouts say there’s room for improvement with his secondary pitches, however his location is second-to-none. Jungmann has all the ingredients to be a legitimate No. 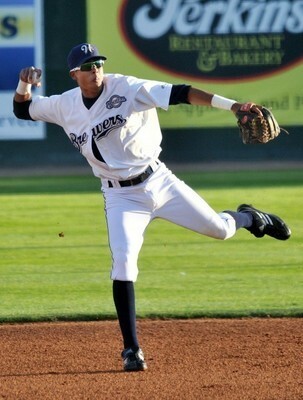 2 starter at the major league level, and there’s no doubting he has the highest ceiling of any current Brewer prospect. To put it lightly, it’s been a rather humdrum off-season for former Milwaukee Brewers first baseman and current superstar free-agent Prince Fielder. When the bulky veggie-eating first baseman first hit the free-agent market a few months ago, many surmised that he would jockey with Albert Pujols to be this offseason’s top player available in free-agency, and though even with a stubborn agent named Scott Boras, Fielder would ultimately attain his asking price of nearly 10-years at $250 Million. For Pujols, things went exactly as planned. Early last month, the Los Angeles Angels came out of nowhere and signed the 31-year-old to a near-record 10-year, $254 Million contract. The deal was exactly what Pujols was looking for through free-agency: A long-term deal that would make him one of the highest payed players in MLB history. Needless to say, things haven’t gone exactly as planned for Fielder. Now mid-January, the possibility that a team might come forth and offer what he and his agent are looking for seems, well, unlikely at best. Teams such as the Nationals and Rangers have expressed interest in Fielder but are unwilling to meet Fielder’s demands — at least in terms of years of the contract. 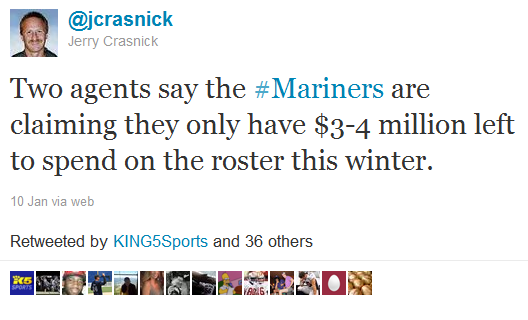 The Mariners have always been considered a favorite, but as ESPN’s Jerry Crasnick tweeted earlier this week, they may only have roughly $3-4 Million left to spend this winter — so signing Fielder seems just about out of the question at this point. With hardly any practical interest from teams, it’s almost a foregone conclusion that Fielder won’t be getting his desired 10-year deal. Or a five-year deal, for that matter. As absurd as it might sound, his best option at this point may actually be re-signing with his former club. Yes, the Brewers currently have a considerable amount of money invested in starters Zack Greinke and Shaun Marcum, as well as setup-man Francisco Rodriguez, not to mention Ryan Braun. But with each passing day the prospect of Fielder returning to Milwaukee on a one-year deal begins to make a whole lot more sense. Sure, GM Doug Melvin has affirmed since the signing of Aramis Ramirez last month that the Brewers are likely moving forward without their preeminent slugger of the past half-decade. However, take what general managers say with a grain of salt — the truth of the matter is that they are largely bluffing. If and when February rolls around and Fielder still has yet to find a new home, it’s hard to imagine owner Mark Attanasio not opening up his checkbook and raising payroll for at least one more season. Milwaukee’s championship window is closing — it might officially be closed after this season — and Attanasio is fully aware of that fact. We’ve seen it time and time again — a team that nobody expected comes out of nowhere to sign a big-name free-agent. The Angels did it with Pujols; who’s to say the Brewers won’t do it with Fielder? It’s been a long, difficult, often perplexing offseason for the Milwaukee Brewers and their fanbase. But if recent indications prove valid, things may take another turn for the worse. Last month, we learned from a report leaked by ESPN that Brewers left fielder and recently named 2011 NL MVP Ryan Braun had reportedly tested positive for either a performance enhancing drug and/or banned substance during Milwaukee’s historic playoff run last October. Major League Baseball subsequently gave Braun a 50-game suspension for his actions, and Braun is currently in the appeal process. Many fans remained optimistic regarding the future of their beloved left fielder, however, Braun’s appeal to the league doesn’t seem likely to be overturned, as Tom Haudricourt of the Milwaukee Journal Sentinel recently wrote. Should Braun not be in Milwaukee’s lineup on opening day against the St. Louis Cardinals, there are dozens of potential directions manager Ron Roenicke might set his starting lineup. Let’s take a look at the most logical approach to how it might look. Carlos Gomez is still very much in the prime of his career and with the opportunity to be the everyday starter in center-field to start next season, I expect him to be where he batted on opening day 2011: At the top of Ron Roenicke’s lineup. Being one of the fastest center fielders in baseball as well as being one of the best bag-stealers (he has a career 78% stolen base percentage), Gomez clearly should be Milwaukee’s lead-off man to start next season. Granted, he’ll need to cut down on his strikeouts and work on getting on base, but I still believe he’s the right man for the job. Nyjer Morgan probably fits the bill to be the Brewers’ leadoff hitter better than anyone on the roster. Based on what he did last year in the No.2 hole, though, he’ll probably stay put — at least for opening day. In 429 total plate appearances, Morgan spent 352 of them batting second — exactly 82 percent. In that role, he batted .310 with two HR and 31 RBI, 46 runs and a .353 on-base percentage that finished as one of the best OBP in the National League. Without having to split time in center-field with Carlos Gomez to start the season, GM Doug Melvin will be able to adequately judge whether or not Morgan is worth re-signing at season’s end. If he can bat over .300 as he did in 2011, there’s no question he’s worth keeping around. 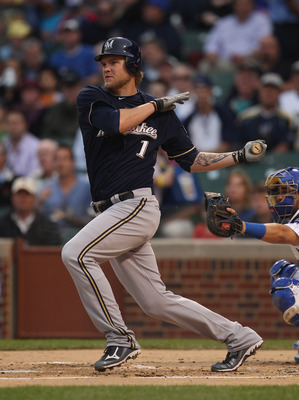 I have to admit — Rickie Weeks originally came to mind as the best option to take Ryan Braun’s spot in the lineup, but after doing my research, I found Corey Hart is simply the better overall substitute. Not only did Hart’s numbers from a season ago (26 HR, 80 RBI, .510 SLG, .226 ISO) trump Weeks’ (20 HR, 77 RBI, .468 SLG, .199 ISO) from a power standpoint, but their career statistics also marginally favor Hart. Since entering the league in 2005, Hart has stockpiled 124 home runs, 425 RBI, a .487 slugging percentage and maintains a 19.6 K%. Weeks, who also broke onto the scene in 2005, has 109 home runs, 314 RBI, a .435 slugging percentage and has struck out 22.6 percent of the time. While the raw numbers don’t substantially favor Hart over Weeks, the subtle contrast coupled with how strong he finished his 2011 campaign should give Hart the nod. 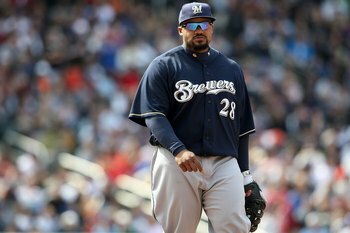 After agreeing to terms with Milwaukee to a three-year, $36 Million contract, Aramis Ramirez knew expectations would be high with Prince Fielder on his way out. 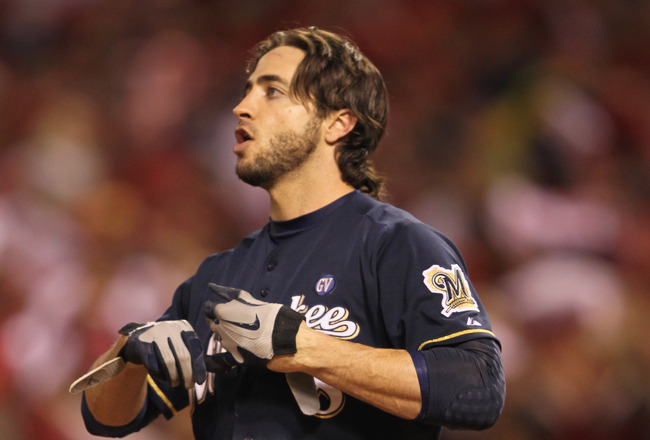 However, with Braun’s suspension now likely to be upheld, expectations have risen considerably. The pressure on Ramirez to help carry the Brewers through the first 50 games next season is mounting quickly. So, where does he best fit in Milwaukee’s lineup? Ramirez, 33, has a great deal of experience hitting third and fourth, and his bat seems to be the best possible protection for Corey Hart to start the season. He’ll probably hit behind Braun once his suspension is up, moreover. If Rickie Weeks can stay healthy, for a full season, for the first in his career, there’s no doubt he’ll reach 35 home runs and there’s an outside chance he could hit 40. He has a tremendous amount of power that has concealed itself over the past few seasons, and I’ve gone on record saying that if not for injury last season, he would have been the is the best offensive second baseman in baseball. I originally had him batting third, but quickly found out Corey Hart would be better suited for the job. That consequently puts Weeks fifth in Roenicke’s lineup and inherent protector of Aramis Ramirez to start next season. Mat Gamel has been an exceptional talent at the minor league level for a number of seasons, but there are some concerns over how well his game will translate as a full-time starter in the big leagues. In 171 career at-bats, the 26-year-old holds true to a .222 BA, .309 on-base percentage and in 2009 (his only true taste of the majors) he struck out in 36.5 percent of his plate appearances. He has a lot of upside and potential but he definitely has his work cut out for him at the start of next season. That said, there isn’t yet a discernible spot for him in Roenicke’s opening-day lineup. He could potentially be placed in a number of spots to start the season. Given how evident his power was in triple-A last season, though, I can’t see him falling any lower than sixth in the order. One of Melvin’s preeminent goals of the offseason was to upgrade at shortstop. He accomplished just that in signing Alex Gonzalez to a one-year, $4.25 Million deal with a $4 Million 2013 option. During his 12-year career, Gonzelez has become one of the best defensive shortstops in baseball, harboring a .981 fielding percentage and 5.938 zone rating last season at 33 years of age. His hustle in the field will manifest itself early next season. Gonzalez’s pop at the plate has diminished, but he will still be held accountable to at least a .250/.270/.390 line next season. He has experience batting just about anywhere in a lineup, which will make Ron Roenicke’s job that much easier. For now, though, batting seventh seems to be the most logical spot for Gonzalez. Jonathan Lucroy isn’t a superstar, and he probably never will be. But that’s okay — he’s exactly what the Brewers need him to be: Dependable. After splitting time Gregg Zaun in 2010, Lucroy inherited the starting role at the beginning of last season, and boy did he make the most of it. In 430 at-bats, he batted .265 with 12 home runs, 59 RBI and boasted a .391 slugging percentage. In the field, though, he was a superstar. He committed just seven errors (.993 FPCT) despite having to deal with a staff that administered a league-high 70 wild pitches. Lucroy spent 64 percent of his at-bats out of the eight-hole last season. Expect him to be in familiar scenery on opening day this season. Yovani Gallardo is just 25 years old and will enter his third consecutive season as Milwaukee’s No. 1 starter. When it’s all said and done, he’ll easily be the greatest pitcher in franchise history. Last season, he went 17-10 with a 3.52 ERA while striking out 207 in 207.1 innings (33 GS). He led all Brewers starters in wins, ERA and strikeouts, and finished with a better K/9IP (8.99) than AL MVP Justin Verlander (8.96). Each year Gallardo continues to better every facet of his game and I suspect him to take the next step and lower his ERA to 3.20 or lower in 2012.